GUIDE PRICE £900,000 TO £925,000. 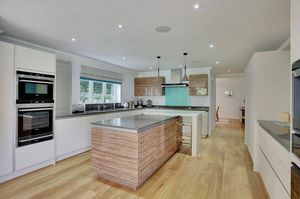 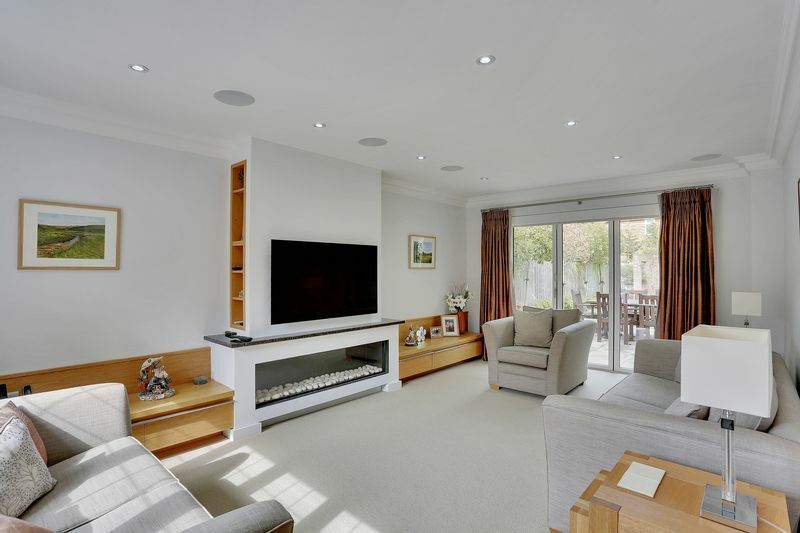 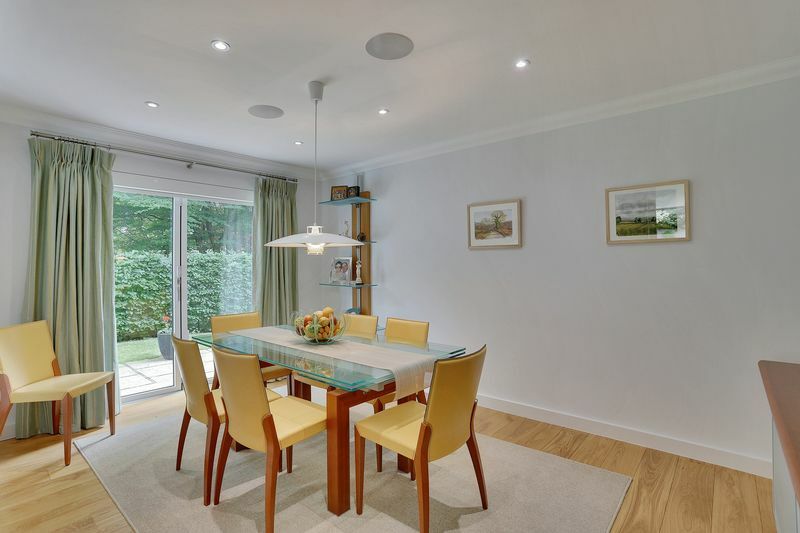 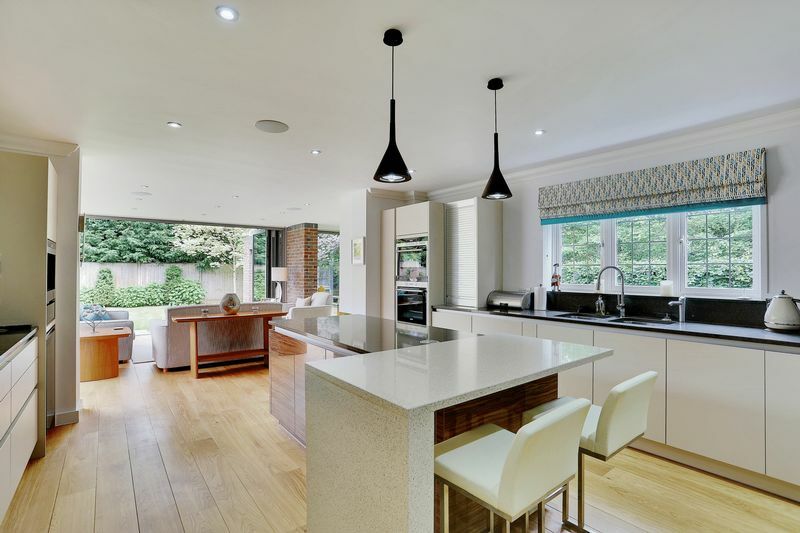 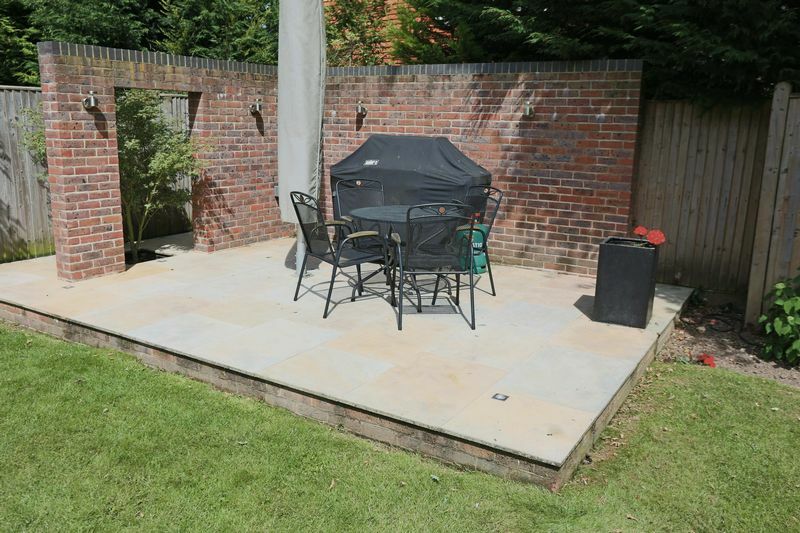 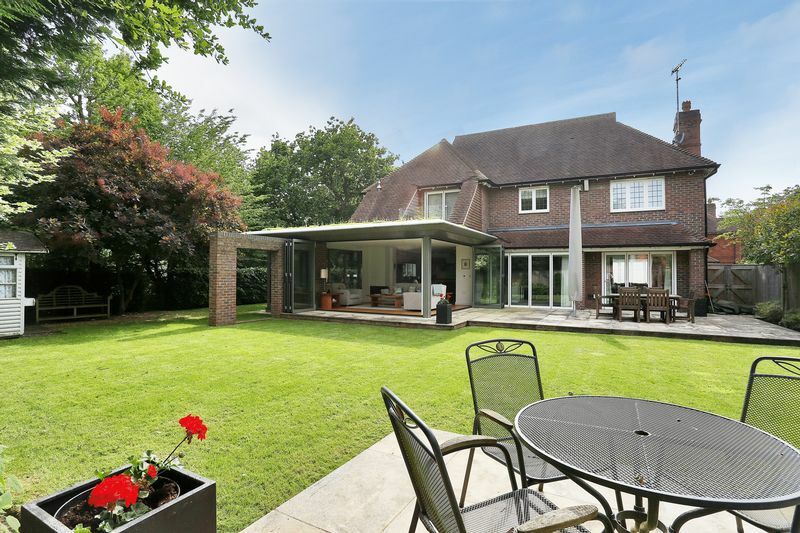 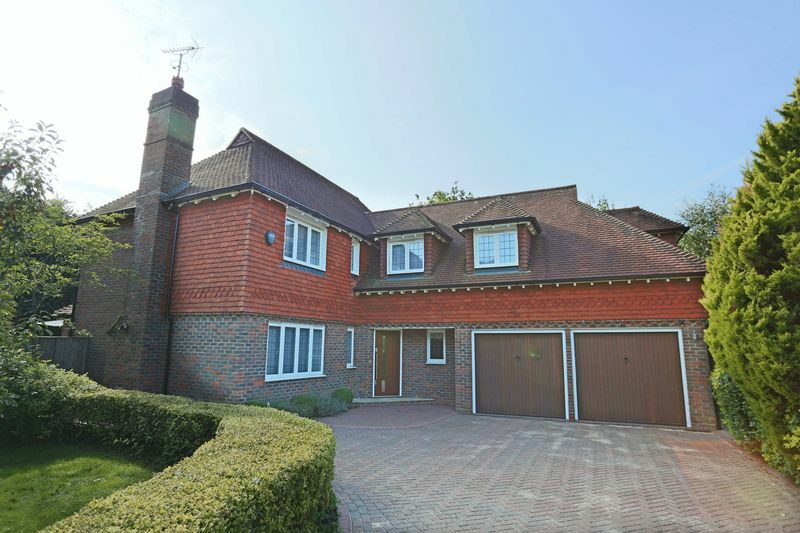 Situated in a small select close built by national house developers Berkeley Homes in 2003, this stunning property forms one of just 8 substantial detached dwellings and occupies a corner setting backing onto an area of light woodland. 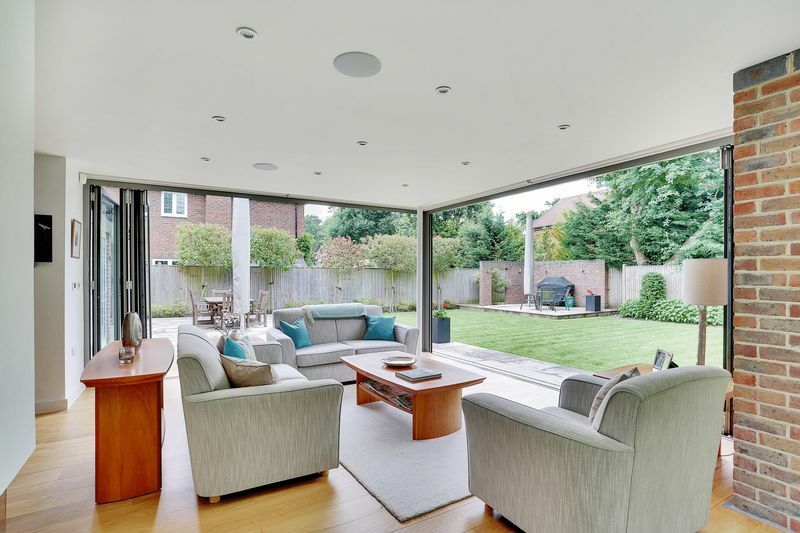 The present owners have completed in 2012 an astonishing programme of enhancement, including a contemporary single storey glazed family room with bi-folds on two sides under an aluminium and Cedum roof. This new area of the house has created a lovely modern bright kitchen living dining environment with multiple possibilities. The open vista brings the delightful gardens into this versatile room which adjoins a formal dining room at the opposite end. 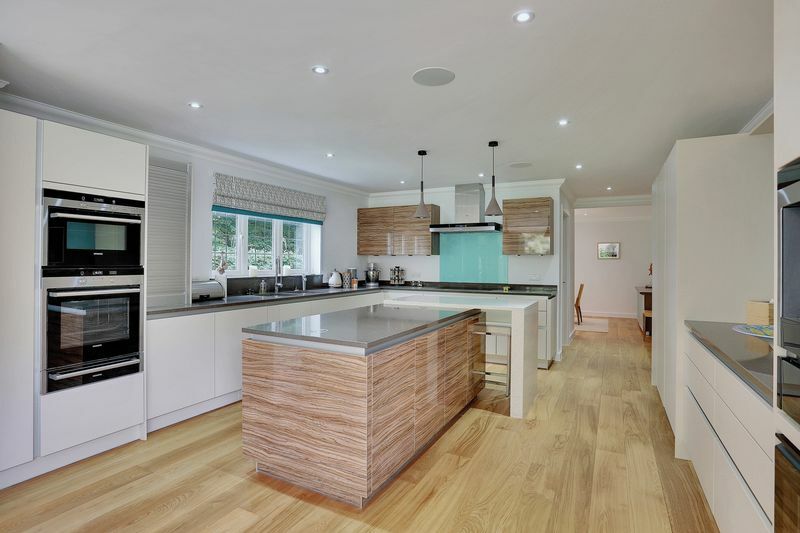 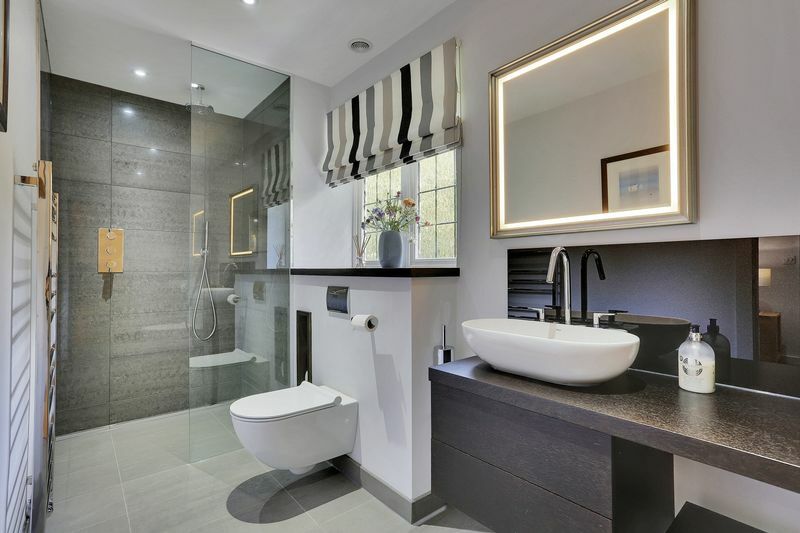 Upgrades include natural oak flooring throughout the ground floor with ceramic tiling to the kitchen/family room and ceramic tile to the bathrooms. 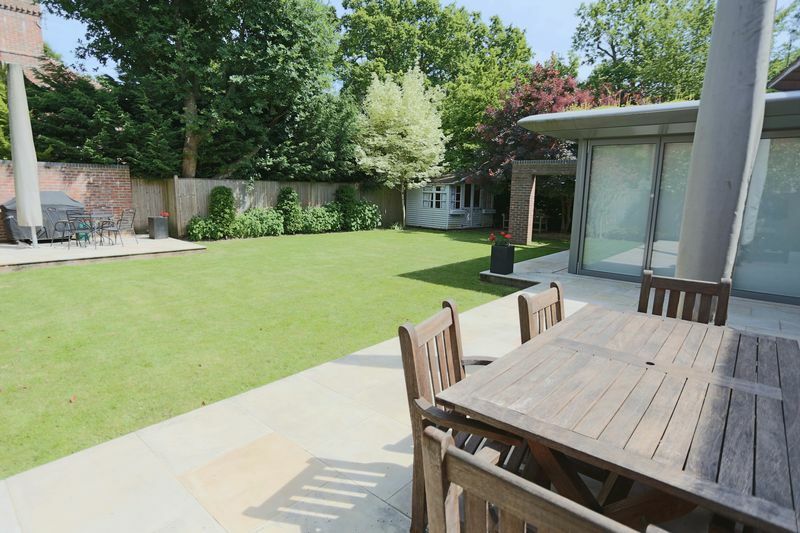 The main living room also has bi-folds to the patio and garden with a contemporary pebble gas fire. 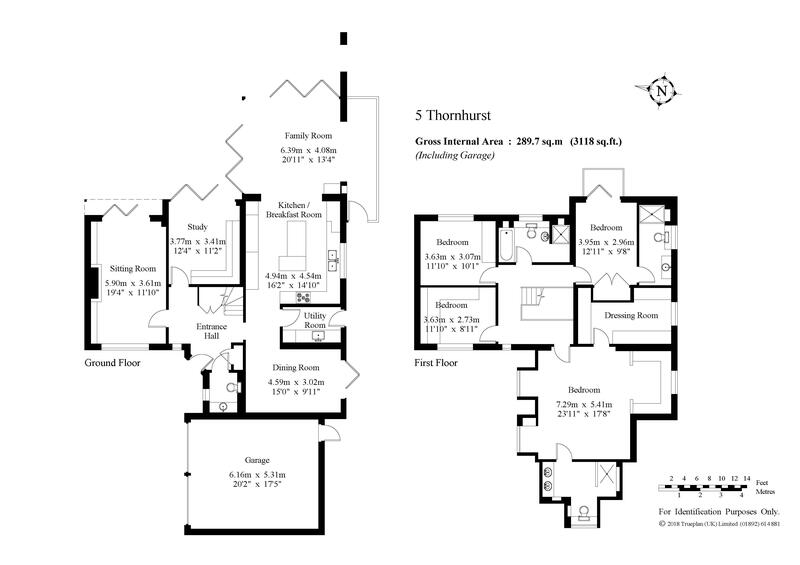 To complete the ground floor there is a fully oak fitted study. 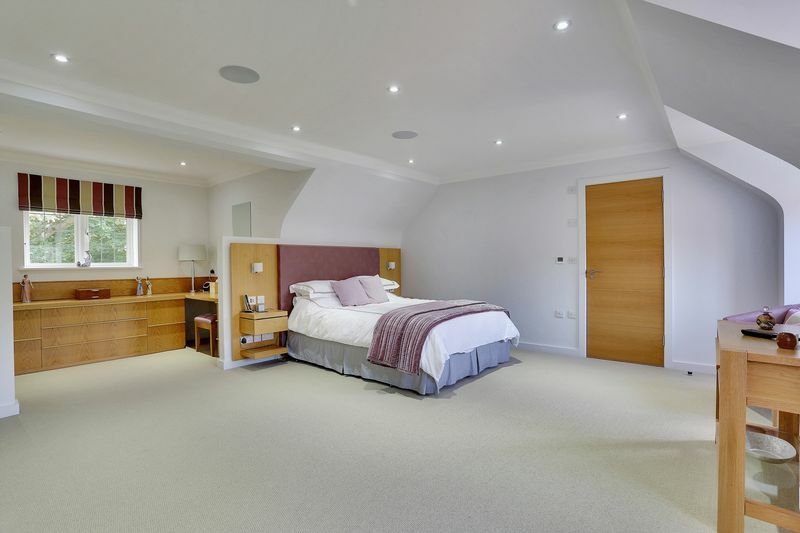 All principal rooms enjoy lighting and sound/video automation controlled remotely. (please note that the central hub mainframes that control the automation will be removed but the infrastructure will remain allowing a new owner to connect their own hub easily). 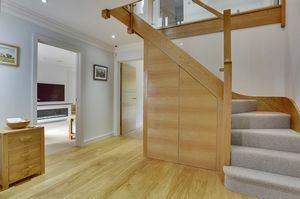 The staircase has been completely remodelled to with oak and glass balustrade. 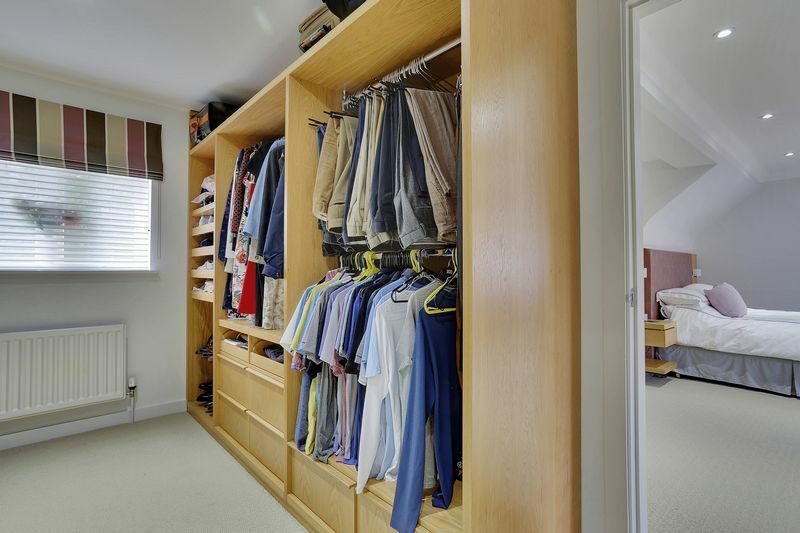 The first floor has now a 4 bedroom layout with the former bedroom 5 being converted into a fully fitted ensuite dressing room to the master suite. 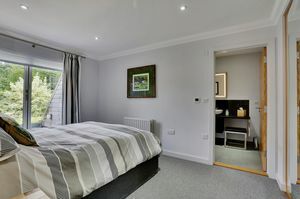 There are ensuites to both the master bedroom and the guest bedroom, the latter having bi-folds onto a newly formed balcony overlooking the garden. 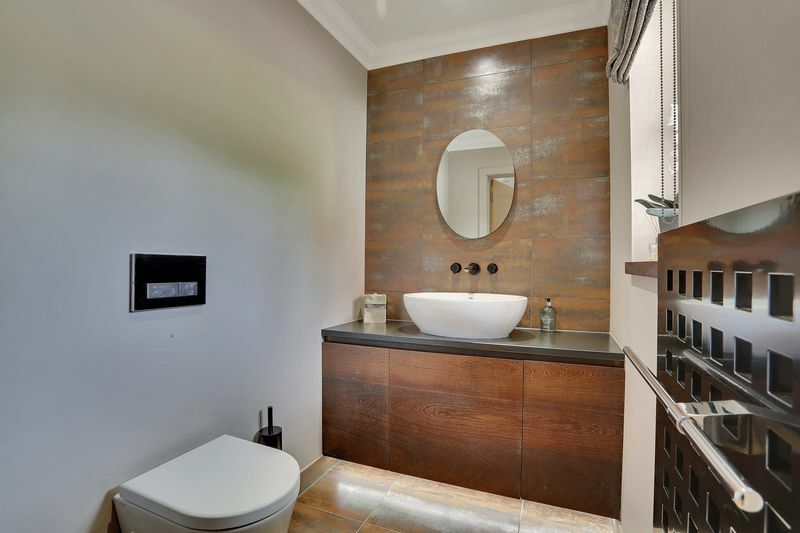 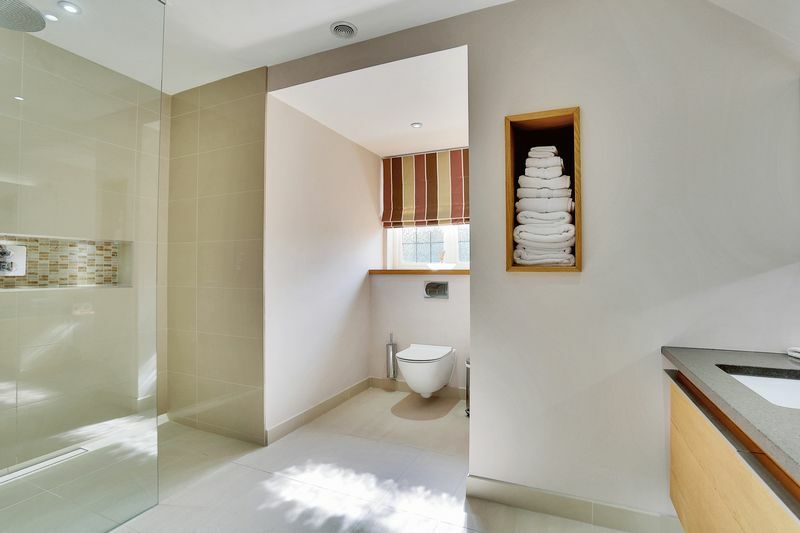 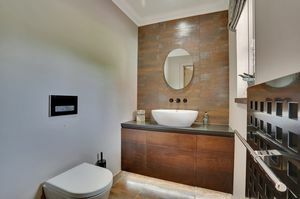 The luxury family bathroom completes this storey of the house which has a part boarded loft accessed from the landing. 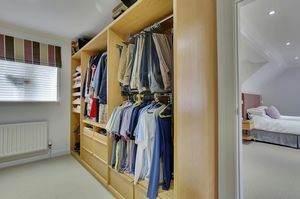 Outside the double garages have independent remote control doors. The gardens to the front are professionally maintained as are the rear which comprise of two separate patio areas providing versatile alfresco dining platforms. The main gardens are laid to neat lawn with a number of specimen trees and shrubs. 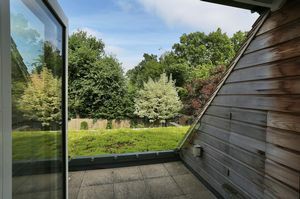 The whole enjoys year round evergreen screening. 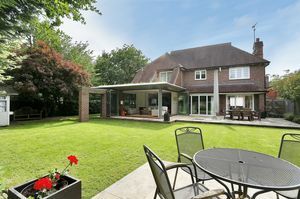 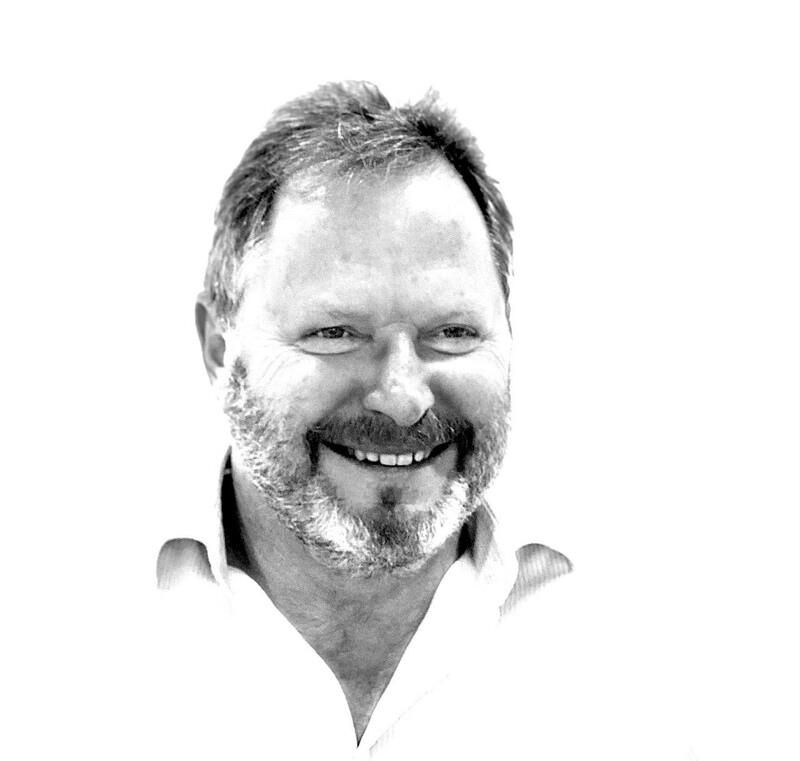 For a detailed compendium of all the key features and enhancements please contact the agent.